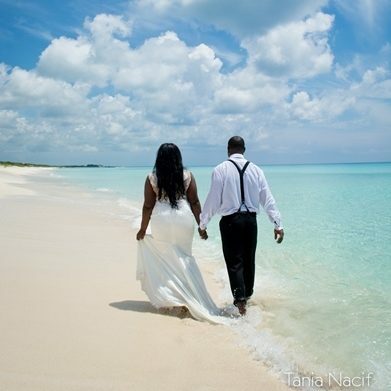 When you choose to schedule your special event on the beautiful, tropical island of Cozumel, Mexico, we will ensure that EVERYTHING goes as you dream it. Blood Tests are no longer required in Cozumel. You are required to have four witnesses who can provide a copy of their valid Passport and general information. Don’t worry, valid witnesses can be supplied if necessary. No Documents are required as this ceremony has no legal requirements; but, we will be happy to provide a Certificate of Commitment for you to enjoy and display. Upon completion of the ceremony you will enjoy the reception we plan together. At that time, you will receive your License and Certificate. When you return home, you can legally go about your name change or marital status update, starting with your employer and the Social Security office. Yes, your marriage will be recognized internationally. If your country requires an Apostle, please let us know ahead of time. None is required in the US or Canada. Fiona Lomax of Something Special Wedding and Event Planner makes it easy…Legal or Symbolic Wedding Officiant. Will we back to the ship on time? ANSWER: We haven’t missed one in 27 years. Do we need to provide a minister? ANSWER: No, but if you wish, you are perfectly welcome to do so.